Norwood with his wife, Barbara. And then it was because of all the families he teaches that he remains at Personal Best. You could say it has been a family affair. Signing up for classes for himself as an adult brought Mosca’s desire to train in martial arts full circle. Mosca said he always wanted to take karate classes growing up, but there was never the means or opportunity to do so; he lettered in varsity sports instead and played sports year ‘round. A self-proclaimed “fitness freak” when he was younger, Mosca had gotten out of shape as he got older, especially working long hours as a regional manager of a parking garage company that had 100 locations. 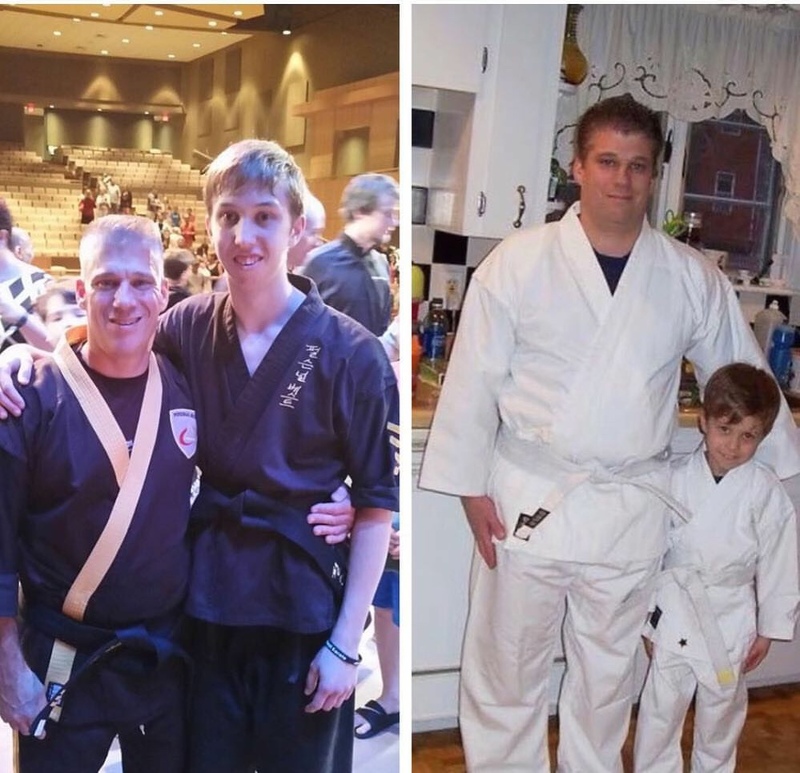 “I realized I needed get in shape to keep up with my kids – four-year-old Tyler and two-year-old Dylan – and wanted a healthier lifestyle,” he explained about starting karate classes. Pretty soon all the Moscas were involved at PBK, with his wife jumping on board in kickboxing. 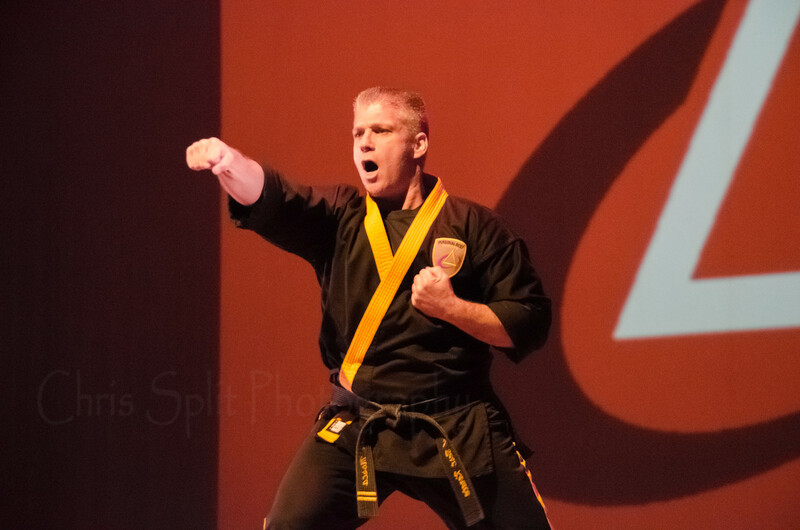 He loved the classes and sharing the martial arts adventure with his son was rewarding as well. Going to teaching from being a manager wasn’t too difficult for Mosca, especially since he loved his role at the school. Teaching has a special place in his heart. One of his greatest joys is “empowering the kids with challenges, especially those who need help with effort and believing in themselves. Once they have that belief, they can accomplish things they never thought was possible,” he elaborated. Creating that great rapport with families was just natural. A common occurrence would be families coming in with their four-year-old starting in the Ranger program, and a two-year old sibling in tow to watch. Just a couple of years later, that two-year-old is now four and starting their lessons. They had been coming to the school for years already and it’s comfortable for them. And being a part of the school that young only creates a solid foundation for that student in Norwood. “A lot of my STORM/SWAT team are former Rangers, which is a credit to Ms. B [Mosca’s wife, Barbara]. Starting that young and staying with the program is a huge accomplishment,” he said.